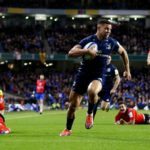 Leinster edged Ulster 21-18 in their thrilling European Champions Cup quarter-final in Dublin on Saturday. 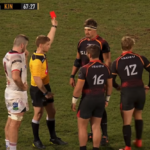 Highlights of Ulster’s 33-19 win against the Kings in Belfast. 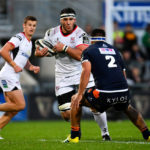 Ulster boosted their Pro14 playoff hopes by claiming a 33-19 win over the Kings in Belfast on Saturday. DYLAN JACK reports. 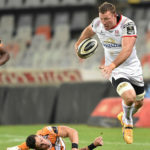 Springbok flank Marcell Coetzee has signed a three-year contract extension with Irish side Ulster. 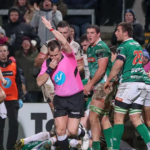 A last-gasp penalty try gave Ulster a 17-17 draw against Benetton Treviso, while there were Pro14 wins for the Cheetahs, Kings, Munster, Glasgow Warriors, Leinster and Cardiff Blues. Marcell Coetzee retains a burning ambition to continue performing consistently in hopes of reviving his Test career, writes CRAIG LEWIS. 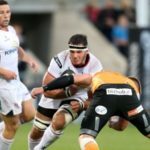 Ulster-based Marcell Coetzee says he has found a new lease on life after finally enjoying an extended run of injury-free rugby, writes CRAIG LEWIS. 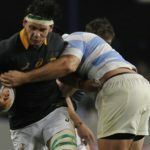 Former Springbok flanker Jean Deysel has retired from rugby with immediate effect. 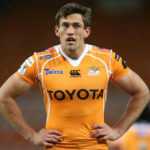 Highlights of the Cheetahs’ 39-39 draw with Ulster in Bloemfontein. Louis Fouché will play off the bench in the Cheetahs’ Pro14 clash against Ulster in Bloemfontein this Friday.